Weather Vane (Black Shag) Watching out for St Francis. Sheet aluminium, steel, carved and painted Kauri. 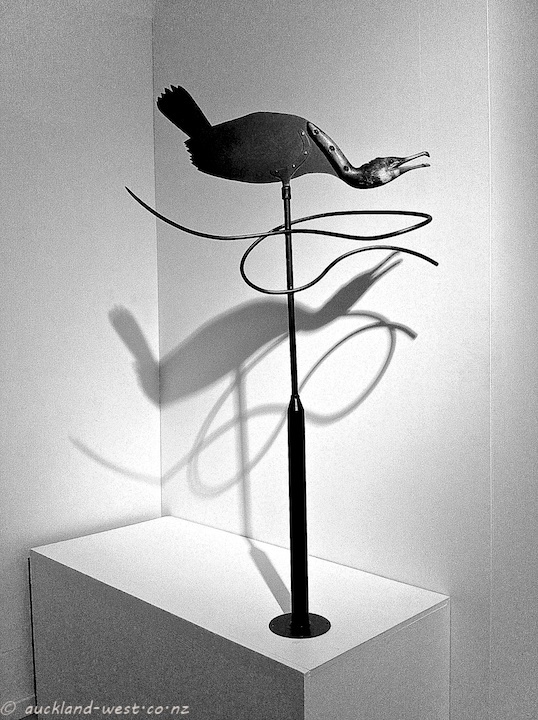 From an exhibition of work by sculptor Bing Dawe at Whitespace Contemporary Art. Beautiful work, beautifully curated and beautiful lighting! On until August 18. For more shadows, please visit Shadow Shot Sunday.